Antenna International, a designer of mobile experiences and digital content for cultural and historic institutions, has introduced a new ecosystem of “intelligent” technology solutions that enable museum and exhibition professionals to manage the visitor experience with unprecedented control and intelligence. By utilizing the Antenna Ecosystem–consisting of a custom-built mobile device management platform, an ‘intelligent’ charging solution, and a suite of mobile interpretive devices–museums, galleries, and other institutions of culture and history can better understand and optimize their visitor experience. What’s more, it can be done remotely, over the internet, from anywhere, and at any time. One of the biggest challenges facing museums is a true understanding of how their visitors are interacting with collections and exhibitions. Generally, museums are only able to ‘push’ content to the visitor through the tour, with no real measurement or data on the performance or success of that experience. 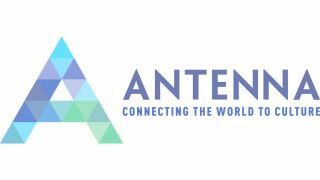 Antenna’s new Ecosystem “closes the loop” by offering real-world data on how the visitor is engaging with the tour in a manner that opens the way for real-time optimization. At the core of Antenna’s innovative ecosystem is an “Intelligent” Datacharger, which much like the human body’s central nervous system, provides the connection between all the various components. In addition to charging the multimedia devices, it allows for vital performance data to be captured and for critical content and software updates to be delivered to the devices. This means that the entire system of interpretive devices can be monitored and maintained with greater agility, leading to less downtime and a far more efficient operation. Museum operators have three management tools at their fingertips: Antenna’s Mobile Device Management platform (MDM), which is an online portal that gives them, in one screen, total visibility of the performance of all their devices; content management that is delivered through Antenna Tourbuilder, the company’s proprietary online tour building platform, and Data Reporting, which provides information on how the visitors are using the devices. These management tools provide museum operators with the ability to monitor and maintain their devices while constantly understanding and optimizing the visitor experience–all based on real-world, highly-actionable data. MDM is a custom-built web portal for individual institutions, allowing them to remotely monitor and control everything that’s happening with their devices. The tool provides information on charging, battery life, memory, and applications. It also can be used to install new applications or push new updates quickly and reliably. Antenna Tourbuilder offers museums the ability to record and upload their own content, building and later modifying their mobile tours in any way they please. The content reaches the visitor in the form of Antenna Apps, a suite of elegantly designed, highly interactive, pre-designed tour components and features that can be customized and fully branded. Antenna Data Reporting is able to extract data on how each device is being used, and delivers constant insights on visitor engagement. Using this tool, museum operators can better understand their visitor by capturing information such as the most popular tour stops, the duration of engagement, or the most commonly selected languages.